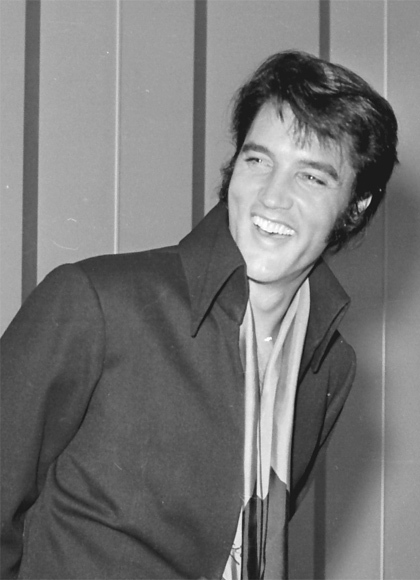 There are plenty of Elvis sayings and quotes in the hearts of his family, friends and fans. Read a few popular Elvis sayings below. These Elvis quotes were taken mostly from interviews and live performances. If you want to learn more about the King of Rock ‘n’ Roll, you can read the Elvis biography. Also, sign up for the Elvis Presley's Graceland e-newsletter to stay up-to-date with the latest news from the king's castle. - Elvis in 1956, talking about his way of moving on stage. - Elvis commenting to a reporter, 1950's. - Elvis often used this adaptation of a well-known quotation. - Talking about the informal jam sessions he and the band and entourage enjoy each night during the lengthy Vegas engagements. These happen upstairs in Elvis’ suite at the Las Vegas Hilton as they all try to “wind down” from the excitement and energy of the live shows. Quote is from a 1972 taped interview used in MGM’s documentary "Elvis on Tour." - From a 1972 taped interview used in MGM’s documentary "Elvis on Tour"
- Elvis at a press conference prior to his 1973 television special, "Elvis - Aloha from Hawaii, via Satellite"